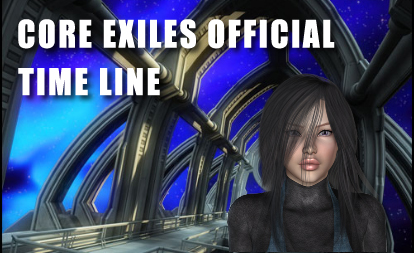 Core Exiles has been in creation/testing since early 2005. That means we have a lot of history. During that time we have had various forum meltdowns, so we figured why not create a completely separate site to store all the published goings on in CE. So we created the Time Line. It has almost every major post added to it from out Dev, ISN News and Festive celebrations. We also add general section information like Settlement, Pets, Research. The timeline has a good solid search feature and if you’re looking for information on events and changes in Core-Exiles this is a great source of information. Please Note: This site is looked after by CE Staff who give their time freely to keep it update. Feel free to leave some comments and if you see one of our Timeline Competitions in action pop along and take part.